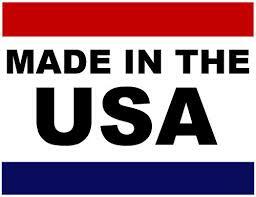 Phosphoric Acid is one of the top 10 chemicals used in the United States measured by weight. It is a primary ingredient for many phosffate fertilizers for agriculture. Food grade Phosphoric Acid is also used in the food industry. It is found in oils, beverages, cheese and canned food. The addition of phosphoric acid to some soft drinks adds a sharpness to the flavor. It is also used in many other industries for products like pharmacuticals, detergents, animal feed, metal treatment, textiles and pigments. Phosphoric Acid is also known as orthophosphoric acid. It is a clear, odorless liquid that may be syrupy depending on the temperature and the concentration of the solution. Phosphoric Acid is commonly found in 50% and 85% concentrated solutions. The 85% solution has a specific gravity of 1.685 and may be syrupy. This calls for a 1.9 specific gravity plastic chemical storage tank. Store Phosphoric Acid in sealed containers at room temperature and above its freezing (crystallization) point to maintain product performance. The storage area should be well ventilated. Keep away from alkalis, sulfides, cyanides and metal powders. Phosphoric Acid reacts to some metals to produce highly flammable hydrogen gas. Sealed containers may violently rupture and release their contents when heated. In a fire, corrosive phosphorous oxides may be generated and released. Emergency Information: Will not burn. Can form very hazardous decomposition products. Contact with metals liberates flammable hydrogen gas. 3,000 GALLON HDPE VERTICAL TANK 1.9SG VERTICAL HDPE $1899.00 . 20,000 GALLON VERTICAL TANK 1.9SG VERTICAL HDPE $22999.00 . 15,500 GALLON VERTICAL TANK 1.9SG VERTICAL HDPE $16549.00 . 10,500 GALLON VERTICAL TANK 1.9SG VERTICAL HDPE $9999.00 . 15,000 GALLON VERTICAL TANK 1.9SG VERTICAL HDPE $14999.00 . 10,000 GALLON VERTICAL TANK 1.9SG VERTICAL HDPE $8899.00 . 7,800 GALLON VERTICAL TANK 1.9SG VERTICAL HDPE $7099.00 . 6,500 GALLON VERTICAL TANK 1.9SG VERTICAL HDPE $4899.00 . 6,000 GALLON VERTICAL TANK 1.9SG VERTICAL HDPE $5499.00 . 4,200 GALLON VERTICAL TANK 1.9SG VERTICAL HDPE $4658.00 . 3,000 GALLON VERTICAL TANK 1.9SG IND. VERTICAL HDPE $1899 . 3,000 GALLON VERTICAL TANK 1.9SG VERTICAL HDPE $1759.99 . 2,000 GALLON HDPE VERTICAL TANK 1.9SG VERTICAL HDPE $1499.00 . 9,000 GALLON VERTICAL TANK 1.9SG VERTICAL HDPE $8299.00 . 3,450 GALLON VERTICAL TANK 1.9SG-N VERTICAL HDPE $2649.00 . 1,550 GALLON HDPE VERTICAL TANK 1.9SG 64 in. VERTICAL HDPE $1079.00 . 1,250 GALLON HDPE VERTICAL TANK 1.9SG VERTICAL HDPE $1099.98 . 1,200 GALLON HDPE VERTICAL TANK 1.9SG VERTICAL HDPE $1274.00 . 1,100 GALLON HDPE VERTICAL TANK 1.9SG VERTICAL HDPE $1215.00 . 800 GALLON VERTICAL TANK 1.9SG VERTICAL HDPE $675.00 . 700 GALLON VERTICAL TANK 1.9SG VERTICAL HDPE $609.00 . 800 GALLON VERTICAL TANK 2.2SG VERTICAL HDPE $700.00 . 650 GALLON VERTICAL TANK 1.9SG VERTICAL HDPE $549.00 . 550 GALLON VERTICAL TANK 1.9SG VERTICAL HDPE $409.00 . 8,400 GALLON VERTICAL TANK 1.9SG VERTICAL HDPE $7099.00 . 500 GALLON VERTICAL TANK 1.9SG VERTICAL HDPE $399.00 . 300 GALLON VERTICAL TANK 1.9SG 48 INCH DIAMETER VERTICAL HDPE $408.00 . 300 GALLON VERTICAL TANK 1.9SG 35 INCH DIAMETER VERTICAL HDPE $339.00 . 265 GALLON VERTICAL TANK 1.9SG VERTICAL HDPE $396.00 . 250 GALLON VERTICAL TANK 1.9SG VERTICAL HDPE $395.00 . 200 GALLON VERTICAL TANK 1.9SG VERTICAL HDPE $317.00 . 300 GALLON VERTICAL TANK 2.2SG 48 INCH DIAMETER VERTICAL HDPE $468.00 . 175 GALLON VERTICAL TANK HDPE 1.9SG VERTICAL HDPE $305.00 . 300 GALLON VERTICAL TANK 2.2SG 35 INCH DIAMETER VERTICAL HDPE $389.00 . 160 GALLON HDPE VERTICAL TANK 1.9SG VERTICAL HDPE $305.00 . 140 GALLON VERTICAL TANK 1.9SG VERTICAL HDPE $285.00 . 120 GALLON TANK 1.9SG VERTICAL HDPE $239.00 . 100 GALLON TANK 1.9SG VERTICAL HDPE $217.00 . 75 GALLON TANK 1.9SG VERTICAL HDPE $169.00 . 500 GALLON VERTICAL TANK 2.2SG VERTICAL HDPE $479.00 . 8,400 GALLON VERTICAL TANK 1.9SG VERTICAL HDPE $7777.00 . 6,500 GALLON VERTICAL TANK 1.9SG 120in VERTICAL HDPE $4899.00 . 25 GALLON TANK 1.9SG VERTICAL HDPE $115.00 . 6,500 GALLON VERTICAL TANK (TX) 1.9SG VERTICAL HDPE $4899.00 . 550 GALLON VERTICAL TANK 2.2SG VERTICAL HDPE $499.00 . 500 GALLON OPEN TOP TANK 1.9SG OPEN TOP HDPE $658.00 . 150 GALLON OPEN TOP TANK 1.9SG OPEN TOP HDPE $209.00 . 100 GALLON OPEN TOP TANK 1.9SG OPEN TOP HDPE $204.00 . 100 GALLON OPEN TOP CONE BOTTOM TANK 1.9SG OPEN TOP CONE BOTTOM HDPE $185.00 . 60 GALLON OPEN TOP CONE BOTTOM TANK 1.9SG OPEN TOP CONE BOTTOM HDPE $145.00 . 150 GALLON HDPE OPEN TOP CONE BOTTOM TANK 1.9SG OPEN TOP CONE BOTTOM HDPE $250.00 . 55 GALLON OPEN TOP TANK 1.9SG OPEN TOP HDPE $146.00 . 2,200 GALLON HDPE OPEN TOP TANK 1.9SG OPEN TOP HDPE $2465.00 . 500 GALLON HDPE OPEN TOP CONE BOTTOM TANK 1.9SG OPEN TOP CONE BOTTOM HDPE $400.00 . 800 GALLON HDPE OPEN TOP CONE BOTTOM TANK 1.9SG OPEN TOP CONE BOTTOM HDPE $999.00 . 2000 GALLON HDPE OPEN TOP CONE BOTTOM TANK 1.9SG OPEN TOP CONE BOTTOM HDPE $1449.00 . 300 GALLON RECTANGULAR TANK 1.9SG RECTANGULAR HDPE $661.00 . 250 GALLON RECTANGULAR TANK 1.9SG RECTANGULAR HDPE $459.00 . 100 GALLON RECTANGULAR TANK 1.9SG RECTANGULAR HDPE $255.00 . 200 GALLON OPEN TOP TANK 1.9SG OPEN TOP HDPE $249.00 . 85 GALLON RECTANGULAR TANK 1.9SG RECTANGULAR HDPE $244.00 . 50 GALLON RECTANGULAR TANK 1.9SG RECTANGULAR HDPE $171.00 . 40 GALLON RECTANGULAR TANK 1.9SG RECTANGULAR HDPE $144.00 . 30 GALLON RECTANGULAR TANK 1.9SG RECTANGULAR HDPE $128.00 . 25 GALLON RECTANGULAR TANK 1.9SG RECTANGULAR HDPE $117.00 . 16 GALLON RECTANGULAR TANK 1.9SG RECTANGULAR HDPE $101.00 . 2,300 GALLON HDPE VERTICAL TANK 1.9SG VERTICAL HDPE $1299.00 . 2,300 GALLON HDPE VERTICAL TANK 2.2SG VERTICAL HDPE $1499.00 . 1,000 GALLON HDPE VERTICAL TANK 1.9SG VERTICAL HDPE $855.00 . 1,050 GALLON HDPE VERTICAL TANK 1.9SG VERTICAL HDPE $973.00 . 2000 GALLON HDPE UNDERGROUND HOLDING TANK UNDERGROUND HDPE $2299.99 . 3525 GALLON HDPE UNDERGROUND HOLDING TANK UNDERGROUND HDPE $4599.99 . 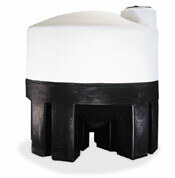 5025 GALLON HDPE UNDERGROUND HOLDING TANK UNDERGROUND HDPE $6799.99 . 11,000 GALLON VERTICAL TANK 1.9SG VERTICAL HDPE $8829.00 . 13,000 GALLON VERTICAL TANK 1.9SG VERTICAL HDPE $11999.00 . 12,000 GALLON VERTICAL TANK 1.9SG VERTICAL HDPE $10999.00 . 10,000 GALLON VERTICAL TANK 2.2SG VERTICAL HDPE $9956.00 . 7,800 GALLON VERTICAL TANK 2.2SG VERTICAL HDPE $7758.00 . 6,500 GALLON VERTICAL TANK 2.2SG VERTICAL HDPE $5974.00 . 6,000 GALLON VERTICAL TANK 2.2SG VERTICAL HDPE $6699.00 . 4,200 GALLON VERTICAL TANK 2.2SG VERTICAL HDPE $5697.00 . 3,000 GALLON VERTICAL TANK 2.2SG VERTICAL HDPE $3489.00 . 360 GALLON CONTAINMENT TANK CONTAINMENT HDPE $448.50 . 625 GALLON CONTAINMENT TANK CONTAINMENT HDPE $425.00 . 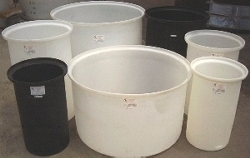 1000 GALLON CONTAINMENT TANK CONTAINMENT HDPE $450.00 . 1250 GALLON CONTAINMENT TANK CONTAINMENT HDPE $800.00 . 1300 GALLON CONTAINMENT TANK CONTAINMENT HDPE $898.00 . 5025 GALLON HORIZONTAL LEG TANK 1.9SG HORIZONTAL HDPE $8546.00 . 6025 GALLON HORIZONTAL LEG TANK 1.9SG HORIZONTAL HDPE $11343.98 . 125 GALLON LEG TANK 1.9SG HORIZONTAL HDPE $306.00 . 225 GALLON LEG TANK 1.9SG HORIZONTAL HDPE $419.00 . 325 GALLON LEG TANK 1.9SG HORIZONTAL HDPE $536.00 . 500 GALLON HDPE HORIZONTAL LEG TANK 1.9SG HORIZONTAL HDPE $400.00 . 2035 GALLON ELLIPTICAL LEG TANK 1.9SG HORIZONTAL HDPE $2599.98 . 4,995 GALLON VERTICAL TANK 1.9SG VERTICAL HDPE $2799.00 . 7,800 GALLON VERTICAL TANK 1.9SG BLACK VERTICAL HDPE $7199.00 . 500 GALLON OPEN TOP TANK 1.9SG - 46 DIAMETER OPEN TOP HDPE $550.00 . NO TANK - FITTINGS ONLY VERTICAL HDPE $0 .